“Romaña,” the former FARC commander who has been called the “kidnapping czar” of the demobilized guerrilla group, failed to appear before the war crimes tribunal on Wednesday. The attorney of the alleged mastermind of the mass kidnapping of civilians at guerrilla roadblocks asked the Special Jurisdiction for Peace (JEP) to postpone the hearing, claiming that his client had been receiving death threats. 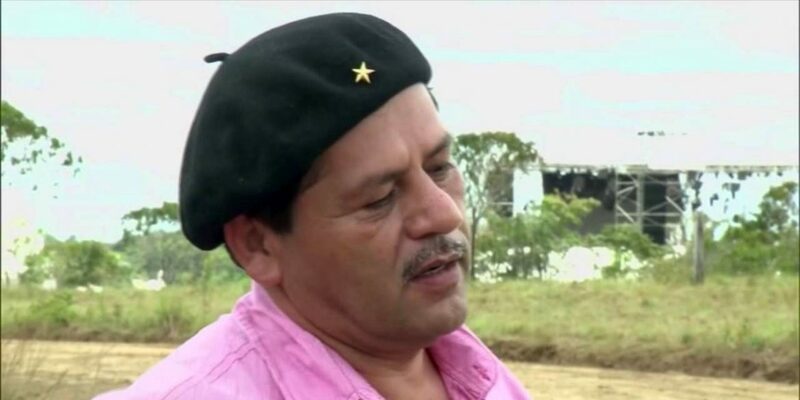 The FARC leader is one of at least 10 former guerrilla commanders who went into hiding after the controversial arrest of the FARC’s long-time ideologue “Jesus Santrich” in April last year. According to his attorney, Romaña, whose real name is Henry Castellanos, said to have lost faith in justice after the arrest of Santrich on an unsubstantiated drug trafficking charge and President Ivan Duque‘s decision to refuse to sign the statutory bill that defines the powers of the JEP last week. Furthermore, the defense attorney said, groups that have abandoned the peace process have threatened to assassinate Romaña if he comes out of hiding. The United Nations has urged the Colombian government to provide judicial security to former guerrillas for more than a year in order to facilitate their participation, but has been ignored by the Duque administration. Romaña’s failure to appear is a major blow to victims as he is widely believed to be among the former guerrilla leaders who know the most about the FARC’s kidnapping practices and could have information about kidnapping victims who never returned from captivity. The JEP will now study the request to postpone the hearing of Romaña, who on multiple occasions reiterated his willingness to cooperate with justice. The ongoing attacks on the transitional justice system by Duque, his far-right Democratic Center party and controversial Prosecutor General Nestor Humberto Martinez have devastated the peace process and the transitional justice system that is part of it. Consequently, thousands of demobilized guerrillas are believed to have rearmed while the underfunded JEP and the Truth Commission have had trouble effectively investigating war crimes investigated by the FARC, the military, state officials and the private sector.